Outlines enhanced desktop roadmap with a new, unlocked 4th gen Intel® Core™ processor, an 8-core, 16-thread Intel® Core processor Extreme Edition and an Intel® Pentium® processor Anniversary Edition coming later this year. Announces partnerships with software developers such as Sony Pictures Television* and Sesame Street* to deliver new multi-user, multi-touch consumer applications targeted for desktop all-in-one (AIO) computers, bringing total applications to more than 170. 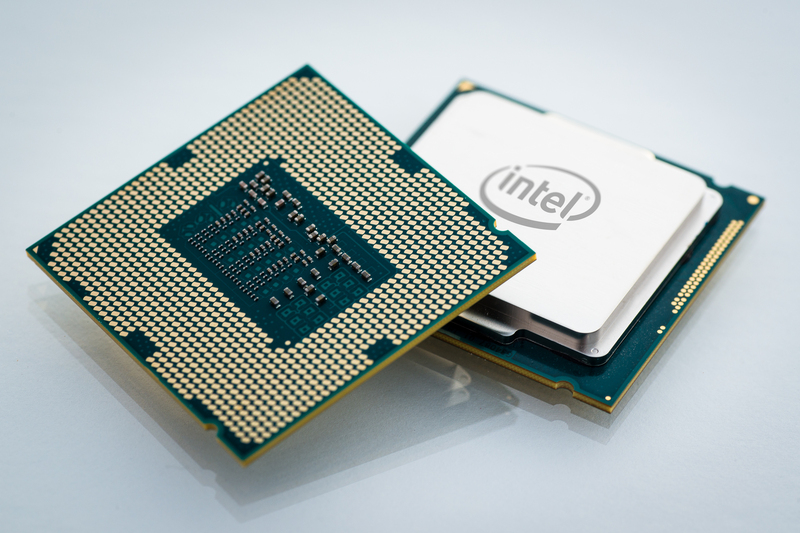 Intel previewed a special unlocked 4th gen Intel® Core™ processor codenamed “Devil’s Canyon”. Due in mid-2014, it includes improved thermal interface and CPU packaging materials that are expected to enable significant enhancements to performance and overclocking capabilities. GAME DEVELOPERS CONFERENCE, San Francisco, March 19, 2014 – Intel Corporation unveiled a set of roadmap enhancements, platform features and software partnerships to help drive the reinvention of desktop computing. Compelling new form factors such as mini PCs and desktop all-in-ones (AIOs) are driving excitement within the category, and Intel is helping to deliver new capabilities that consumers and businesses want. Enthusiast users are among the most important proponents of desktop computing, and Intel is announcing roadmap enhancements especially for them. Intel’s desktop business was particularly strong in Q4 2013; on a year-over-year basis, desktop platform volume was up 7 percent2. At a media event today at the Game Developers Conference, Intel previewed a special unlocked 4th gen Intel® Core™ processor code-named “Devil’s Canyon.” Due in mid-2014, it includes improved thermal interface and CPU packaging materials that are expected to enable significant enhancements to performance and overclocking capabilities. For those who demand the highest processor core count and memory bandwidth on the desktop, Intel will deliver an 8-core, 16-thread Intel Core processor Extreme Edition in the second half of this year. This product will support the new DDR4 memory standard and provide blazing performance for gaming, video editing, 3-D content and other high-end uses. Intel also announced plans for an Intel® Pentium® processor Anniversary Edition commemorating more than 20 years of the Pentium brand, featuring unlocked multipliers that allow the ability to increase the core and memory frequencies independently from the rest of the system. Additionally, plans for unlocked desktop versions of the upcoming 5th gen Intel® Core™ processor with Iris™ Pro graphics, code-named “Broadwell,” were confirmed. The breadth of new desktop form factors has driven growth in the market and shows people desire creative designs that use the full range of processor performance and features available from Intel. From mini/tiny PCs in unexpected places such as boats or kiosks, to a full lineup of new small form factor desktop Steambox* gaming systems, or portable AIO PCs in the kitchen – these platforms are delivering real value. Building on the new designs, Intel has partnered with many software developers to deliver compelling consumer multi-user, multi-touch (MU/MT) applications such as board games and educational titles perfect for the size and touch capabilities of AIO PCs. Twelve new software titles are being announced today, for a total of more than 170 multi-user MU/MT applications now available. Sony Pictures Television’s Wheel of Fortune*, Legacy’s Crayola’s Color, Draw and Sing* and Tarzan Unleashed*, Sesame Street’s Prankster Planet: Banana Blast Off! *, Ubisoft’s Chubby Kings Penguins* Black Mana’s Home Interior Design*, Nuiteq’s Snowflake ABC and Entertainment Suites*, Omnivision’s Halli Clack and Halli Galli*, Konnect’s Parking Friendzy*, and Playtales’s* Interactive Storybook are now available in the ecosystem. Intel also demonstrated a portable AIO PC reference design called “Black Brook,” a thin and light system incorporating exciting new capabilities that enable compelling new user experiences anywhere in the home. Built for the purpose of enabling new technologies in the industry, Black Brook includes an integrated Intel® RealSense™ 3-D camera, a quad microphone array, premium audio and a full HD display. 1 Requires the purchase of Intel® Ready Mode Technology-enabled desktop PC or motherboard, a genuine Intel® processor, internet connection, Windows* 7 or Windows* 8 OS, and 3rd party software. Results dependent upon hardware, applications installed, internet connectivity, setup and configuration. Performance may vary based upon hardware, applications installed, internet connectivity, setup and configuration. Enables an OEM to meet energy regulations per published testing guidelines from global energy regulatory bodies.